For the past year I have been in a season of transition. Without a permanent residence and my families belongings in storage it would be an easy season to be “stuck”. Have you ever found yourself in a season that you feel stuck? Not necessarily full depression, just a place you exist but not work to thrive. 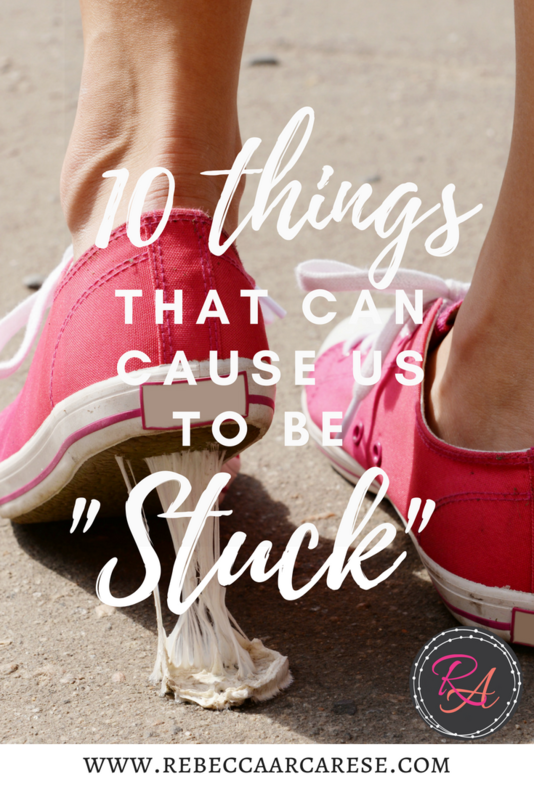 How can we look at events and moments in our life that could lead to a feeling of being “stuck”? I have found there are have been several opportunities in which I could have translated into reasons (excuses) to be stuck. It was often a fine line. A series of small daily choices I had to make to keep moving forward. Sometimes successfully – others not so much. Here are the top ten areas I find to give me the most temptation to derail my zest for life. What is one thing you need to work to “unstick” this month? Let’s hear from you. Share with us on Facebook or in the comments. I would love to hear how we can keep moving, keep our perspective positive and encourage each other in the low points. Ive been there. Right now I am in such a season of change its hard to be stuck. I need to get started on lots of projects this fall! I agree with the business of life! There is always so much to do, and not enough time to do it. These are all valid reasons to feel stuck. I can relate to quite a few of these reasons. I feel that my sleeping habits sometimes makes me feel stuck. They’re night when I can’t sleep and I can’t leave the house at all. Great post. 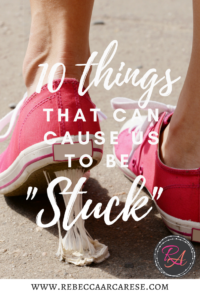 I like that you have differentiated between depression and being “stuck.” Once you become aware, being stuck is so much easier develop and “unsticking” plan than to handle than depression. Change of seasons Is always one for me. In chicago we are lucky enough to have all four seasons, but when Winter hits I find that I am less inclined to get out and really do more for me. I’d rather just stay home when I get home from work! That’s why when its nice out here spending time outside is essential! The kids schedules and even my husbands work schedule is definitely getting to me lately. I’m feeling some of these all too much! I feel like I’m rolling through the motions of the days but never going anywhere!